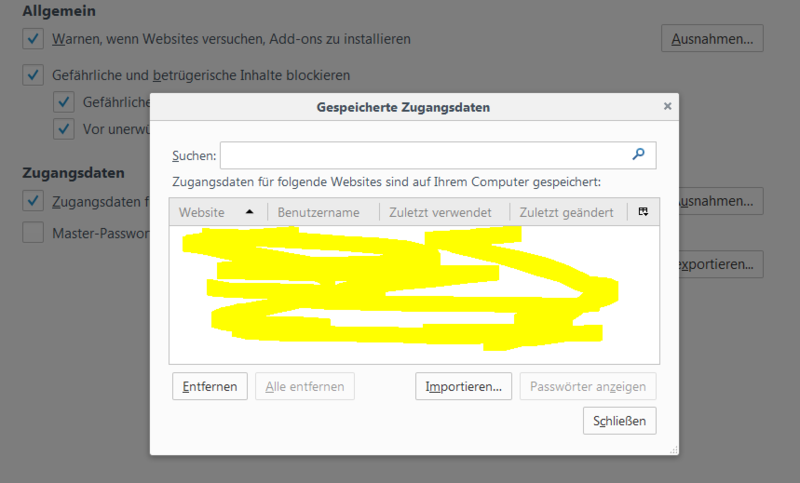 ich habe leider diverse gespeicherhte passwörter durch das "überschreiben" von Windows 7 auf Ubuntu verloren. 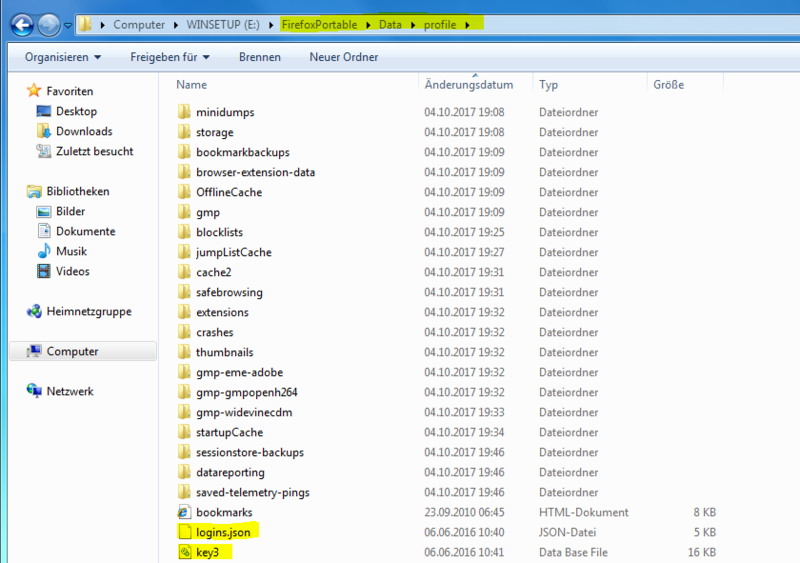 Nun konnte ich aber die benötigten Dateien (logins.json und key3.db ) mit recuva wiederherstellen. kann jemand einen konstruktiven lösungsansatz anbieten? Last edited by Daifne on October 5th, 2017, 6:14 am, edited 1 time in total. Reason: removed img tags. Size of image breaking forum format. dude, this is the english speaking community - complete wrong or try it in english. you should read the answers and respond! What version(s) of FF are you running? Was logins.json from a FF 50 version? You can see that the file contains binary data and isn't a text file. So it is very likely that the cluster used by the logins.json file have been reused in the meantime and that a corrupted file has been restored. You could do a low level search to see if you can locate cluster that have been used by an older copy of logins.json. You would have to check a recent file to see what you need to look for.